Toronto, ON — Today, Hillel Ontario announced a new investment in campus advocacy thanks to a $1M gift by The Gerald Schwartz & Heather Reisman Foundation. The gift will be used over three years to hire advocacy professionals that will join local Hillel campus teams across Ontario. 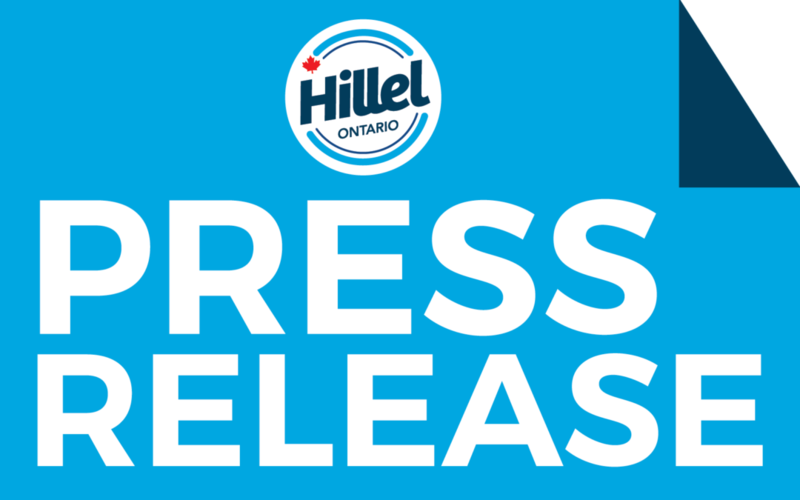 Hillel Ontario has retained Rosov Consulting to conduct a comprehensive three-year study of the impact of this investment on campus climate and attitudes towards Israel at the four recipient campuses. Rosov will report its findings to the community each year to demonstrate measurable and tangible impact, share best practices and continue to refine and improve Hillel’s advocacy strategy. About Hillel Ontario: As an affiliate of the largest Jewish student organization in the world, and now the largest global regional Hillel system, Hillel Ontario works to amplify Jewish campus life across nine universities, with a combined Jewish student population of over 13,000.